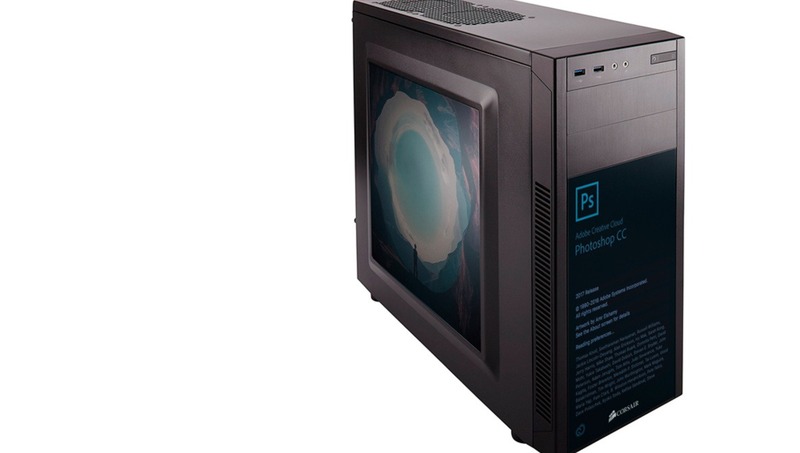 We're going to build our very own photographers PC, capable of working at blazing speeds with 50-megapixel images and dozens of layers in Adobe Photoshop. The high-end system we will be discussing here will have a budget of $1,500 in mind. 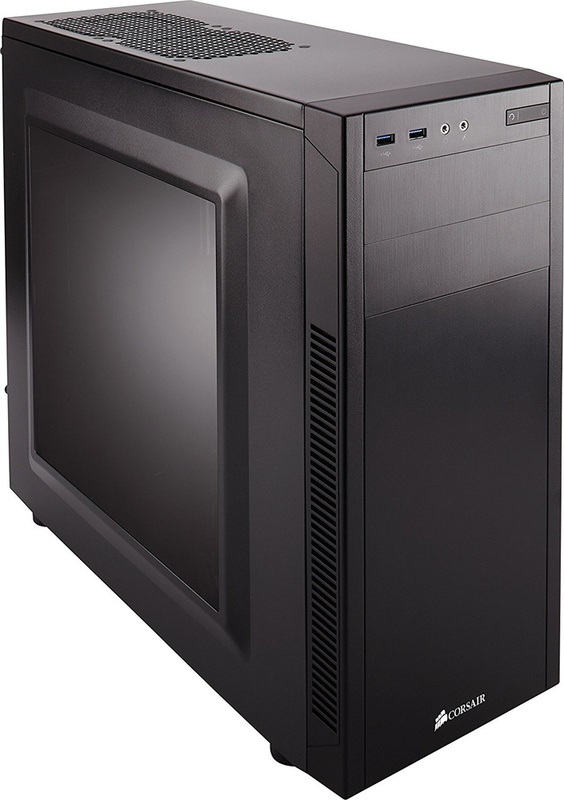 For this, we're going to build our post-processing dream PC, but it doesn't include a monitor. Let's start comparing specs. PC building is about comparing numbers, but also about personal preference. With two major contenders on the CPU market, Intel and AMD, most people tend to stick to either. It’s the same with ATI Graphics (an acquired subsidiary of AMD) and NVidia. Even in a time when the price/performance numbers of AMD/ATI systems look better, I am still an Intel/NVidia guy. I can’t explain why exactly. Maybe because I’ve build PCs since the age of 12 and in only one of those instances (and it wasn’t the first build), an ATI-card died. You’re going to have to forgive me for this manufacturer’s choice, but rest assured that the rest of this comparison is as objective as I can be. If you specifically want AMD/ATI, I suggest that you look at the new Ryzen range of processors and the RX 580 series graphics cards, both of which I’ve heard very good things about. 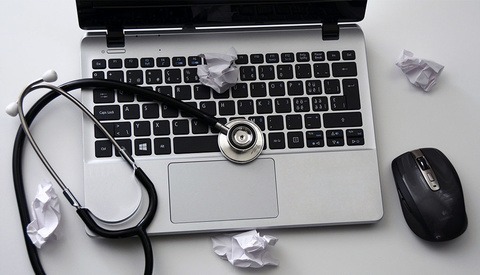 To be able to write this article, I've used the fantastic spreadsheets of PassMark software, which have been my reference for comparing processors and video cards for over a decade. A processor is the beating heart of your machine. In photography editing, the power of the processor will determine for some amount how fast and snappy your edits translate into the results you see on the screen. 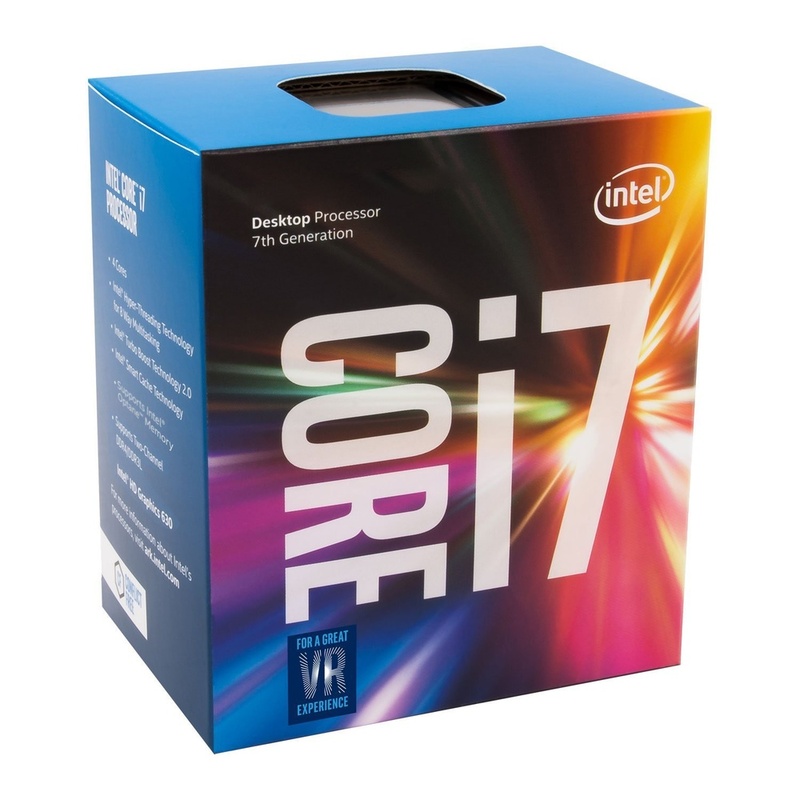 The 7700 is at the top end of the desktop Intel Socket 1151 range, surpassed in performance only by the “unlocked” 6700K and 7700K. “Unlocked” means that these processors are well suited for those who aim to overclock them. Our 7700 operates at 3.6 GHz and scores a respectable 10,816 points on CPU-Benchmark. Some of the specs include 8 MB SmartCache, four physical cores and eight hardware threads. Now, if these or any of the following specs don’t say a whole lot to you, that’s OK. Let me just say that this CPU’s price/performance index is absolutely top-notch for a current generation Intel processor. It’s going for around $300. If the processor is your computer’s heart; the motherboard is undoubtedly its blood circulation system. It connects the individual parts through its integrated chipset. 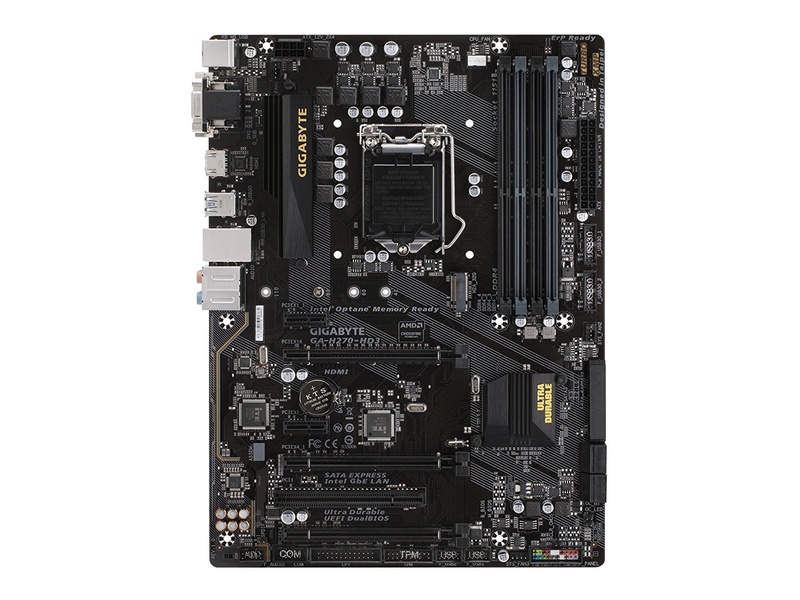 I’ve opted for a H270 board, because the main differences between it and its bigger brother, the Z270 chipset, are the overclocking capabilities and consequently the Z270’s higher price point. This $100 ATX-board boasts three PCI-e x16 slots for connecting a wide range of fast components such as a video card, sound, or ultra-fast storage. Additionally, we see four USB 3.0 and four USB 2.0 connectors. There are four memory slots, which we’ll cover next. RAM stores instructions temporarily. The higher the amount of this temporary storage, the larger your files can be without your new computer slowing down on you. Because of the ever-increasing resolutions of digital camera sensors, working in layers in Photoshop, and panorama stitching, I rather choose a higher amount of RAM and pay a little extra. The memory speed and latencies say something about how fast a new set of instructions can be added or cleared from the memory. Our motherboard runs 2,133 MHz memory out of the box, so that’s what we’ll pick. We will fill all four slots with a kit of four 8 GB memory modules, for a total of 32 GB RAM. If you’re knowledgeable about timings, then I think you will agree that choosing CL14 14-14-32 is a good contender among both the cheaper and more expensive choices we have. So why would we need a graphics card for photo editing? Aren’t today’s processors kitted out with on-board video? In short, yes they are. Although modern software like our beloved Adobe products Lightroom and Photoshop are actually designed from the ground up to work with dedicated graphics cards. Complex operations in Photoshop and Lightroom are a lot (!) faster if you’re using a video card, because these are basically computers on their own. They have their own processor (called a GPU), cooler, memory, and motherboard. That’s the main reason why this part is the most expensive part in our build. We don’t, however, need the most expensive or fastest card out there (unless of course you’re also an avid gamer). 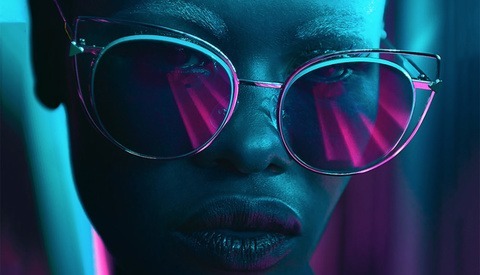 For Photoshop’s GPU intensive features like blurring, sharpening, and the Camera Raw filter, memory interface width is actually more important than raw GPU-performance. A 2 GB 256-bit video card will outperform a 4 GB 128-bit video card, because of the parallel computing power of that card. This is why professional-grade Radeon R9, Tesla, and Quadro all feature the highest possible memory bandwidth. These cards also cost an arm and a leg, so they’re not for our build. Most enthusiast, non-professional cards feature a 384-bit memory bus, but also cost anything upwards of $700. Our price range lets us put in a respectable 192-bit GTX 1060 card with 6 GB of video memory. 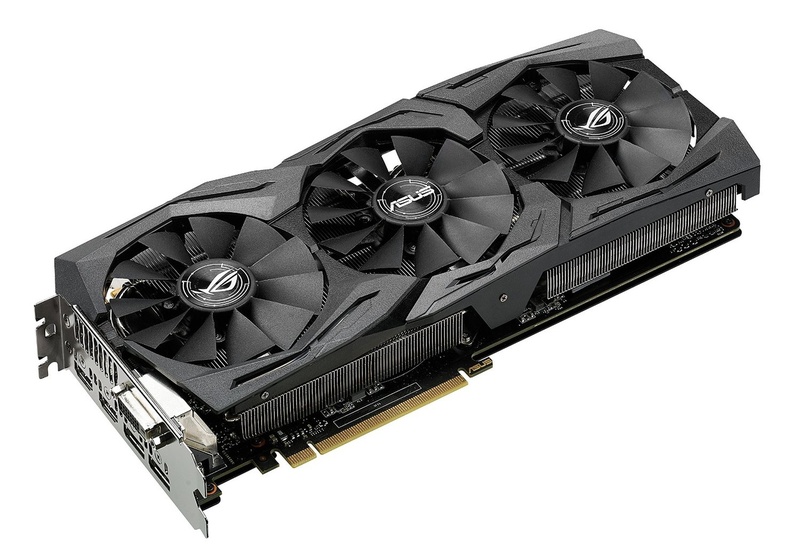 The $350 ASUS GeForce GTX 1060 6GB ROG STRIX OC features 1,280 CUDA cores that run at 1,645 MHz. We’re inching closer to software. Software, such as your operating system, installs on a drive and in 2017 these come in three flavors: traditional hard drives, solid state drives, and combinations of the two. 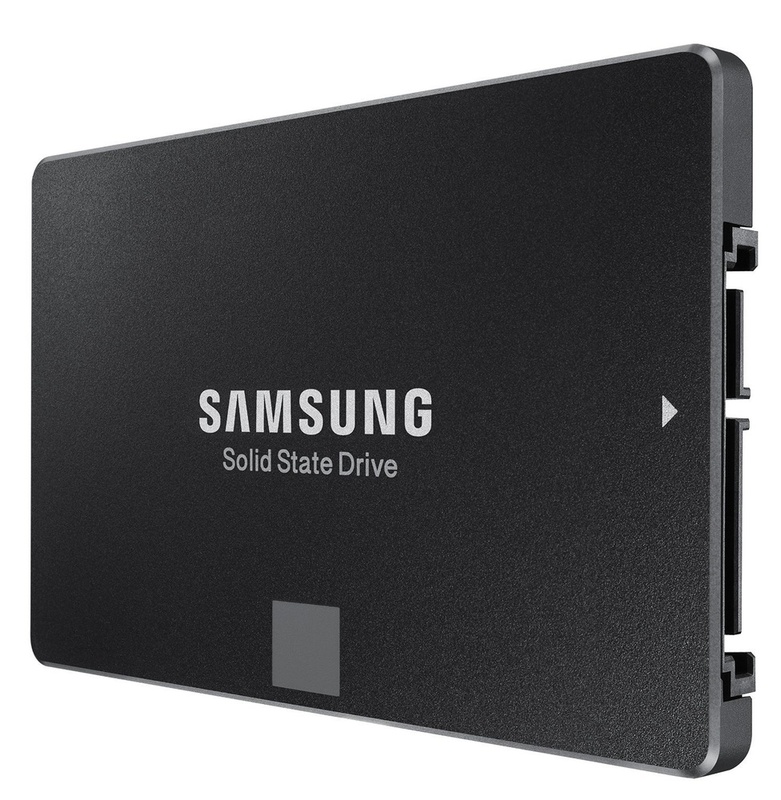 SSDs are the fastest option and can be connected through a so-called SATA-cable or directly on the motherboard for best performance at a cost. Your main storage is the one on which we’re going to install Windows, Lightroom, and Photoshop. But we will also use this drive for cache. Cache is temporary storage that acts much like an extension of your RAM. If the RAM fills up, the cache folder on your storage device will fill to avoid problems such as blocking your entire system. This is why we need a sizable amount of space on this drive at all times. We’re going for a 250 GB SSD. The Samsung 850 EVO series has a lot going for it. The 250 GB version reads at 540 MB/s and writes at 520 MB/s. For its $100 price, you’ll be hard-pressed to find an equal or better performing drive. When it comes to storing your precious photos, size does matter. This 7,200rpm SATA-600 drive reads at 164 MB/s and boasts 2 TB of storage. That’s more than enough for putting any stages of your edited photography on there; raw files, original PSDs, and JPEGs for the web. And should you run out of storage, there’s always the option of putting another one in there, because our motherboard supports four additional drives. The drive sets you back $136. This build, like any high-end system, is quite power hungry because of its graphics card, which requires at least 500 watts of power. All the other components don’t require that much, so let’s stick on the safe side and put in a 750-watt power supply. The Corsair RM750x is an 80 PLUS gold-standard power supply with full, modular cable management. And because it has an active thermal regulation system, the fan is only fully engaged when it’s most needed. A great case has a good amount of airflow, so cable management is a priority. Aside from that, picking a case is entirely subjective, so I won’t get into this in great detail. As long as it fits your ATX-motherboard and the 298mm long video card. The same subjectivity holds true for any peripherals like a mouse, keyboard, and speakers, assuming you even want the latter. All of the components in this category will cost around $250, depending on how fancy your case and mouse are. Our build comes to a grand total of $1,426, with all the parts coming from Amazon. But we're not there yet. Because there are so many factors to consider, buying a monitor for photography editing is worthy of an entire article by itself. And once all the boxes of your new PC build arrive, it’s time to put everything together and tweak the system to get the most out of your rig. You’ve guessed it, we’re in for another multi-part article. If you have any questions about these parts, or have a better idea for any the components selected for this build, you’re welcome to make suggestions. You can also comment with "I have a Mac" to get the discussing going. This is build is just one of the millions of combinations you could make to build your post-processing dream PC. Until next time: Happy comparing. I'm imagining the author would recommend a separate box for archival, this article is really just about the fastest/best build for working, not storing where you'd need a lot more space. Do you mean for archiving or archives? Exactly, Doug. And at a $1500 budget. We're going to cover separate storage (raid NAS) in the optimization article in which we'll discuss getting the most out of your system. Thanks! RAID is for fault tolerance while in operation: for no down-time in mission critical computing, no data loss due to HD failure, or for speed, or both. Not storage. In this setup the original file is on the WD Black, then edited on the SSD and the WD is then updated. Then it needs to be baked up externally. No RAID involved. Secure storage is just a timely backup plan, & really means separating that backup physically (like popping it into a fire safe) to address fire & water damage. RAID is not only about fault tolerance, but performance as well... with proper controller and HDDs you'll be able to shame any SSD drive, unless these drives are in raid as well. E.g. - Dell PERC H700 (especially one with 1Gb RAM, where you can manage cachecade if you have SSD pool, so all your HOT data will be cached on SSD and the HOTest in the controller RAM). As of the article - it is about nice setup, but... I do not have any issues to edit 3Gb tiff panorama on my old AMD Phenom II 955, 16Gb RAM and 2Gb Nvidia somewhat titan card. Edit, once it is loaded, but load takes time, where Photoshop hunger for CPU power. For editing I have no issues at all. 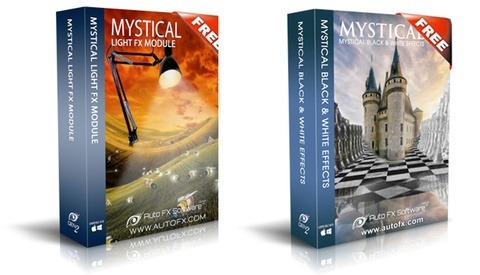 If you actually DO Photoshop editing rather than sell machines, you know that all that jumbled jargon is not useful. My old PC I build eight years ago rocks huge (200meg) files effortlessly, so a new build of current fast components will certainly do the same. 3,500 MB/s read speed!! that's just over SIX times the speed of the SATA SSD! That would REALLY help Lightroom out. Theoretically, m2 is much faster. In practical use, there is hardly any difference between s-ata SSD and m2. When writing massive amounts of data, the m2 will be faster but m2 is so expensive and hardly available in large sizes. I run two Samsung 960's in my editing rig. One is the main drive and the other is my scratch/cache. I also have a 1 TB Samsung 850. I can tell you for a fact that the 850 doesn't hold a candle to the 960's when comparing similar operations. Now I did hear that the 960's in a RAID config doesn't get much of a performance boost, but I have yet to explore that. The 960's are still the best upgrade I've made- love them! For most people a 500Gb hard-drive is far too small to store all the data. I need at least 2Tb drives and in this case using SSD's or M2 drive is rather expensive. I was referring to the price difference between flash and magnetic drives. 2Tb SSD's are too expensive for me. Of course, if you are running a business, things will be different. It would make more sense performance wise for Photoshop to replace even GPU for M.2 storage, it is just so damn important. And I'm sure for the same price or $25 more you could get a compatible MOBO. I just saw the title as "High End" so I wanted to mention the M2 ssd's. I run 2 of the 1TB Samsung EVO 960 M.2 drives in my current PC. They are amazing. I just built a photo-editing PC last fall (and my first time building a PC to boot (no pun intended)), but I did not upgrade my monitor so I'll be watching the next installment with interest. @Alan Wholgemut, I didn't realize M.2 was that much faster than SATA. My mobo has M.2 slots, so I really need to consider replacing my SATA SSD with one of those cards. Yeah man, me too. First time I saw the numbers I did a double take cuz I thought I was seeing things ;) Just make sure the M2 ssd is compatible with the M2 slot in your MOBO. Got 950 from Samsung, I haven't seen anything like this ever, installed Win10 from USB in 2.20s to desktop. Boots quicker than I can count, everything feels like it's opening just s sec before you click on it, lol. I'd definitely suggest more that 250GB SSD. That's going to fill up mighty quickly. Prices have come down a lot recently and you can get a 500GB or 1TB drive fairly inexpensively. 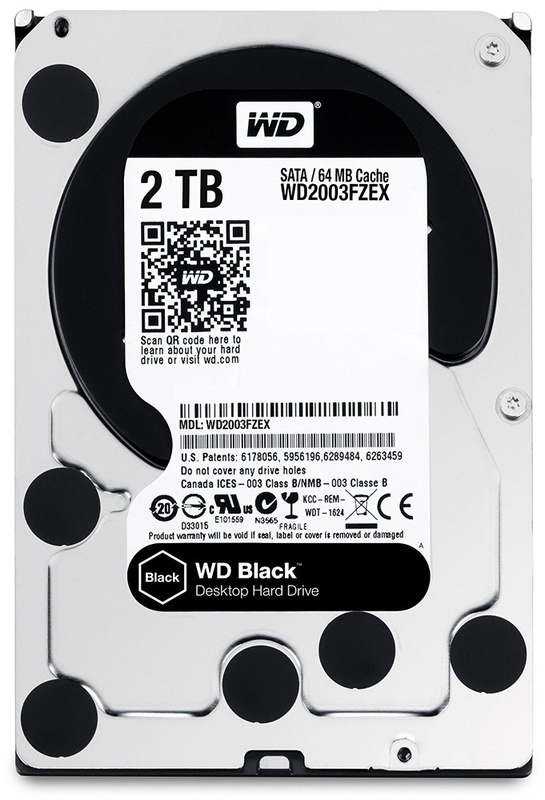 For storing images if you are buying HDDs the HGSTs are the stand out next to WD and Seagate in terms of reliability. It's not for storage, it's for running the OS and programs. You store on the WD Black.